This building stands behind the Phra Boromthat Chedi Maha Chakripipat Stupa. 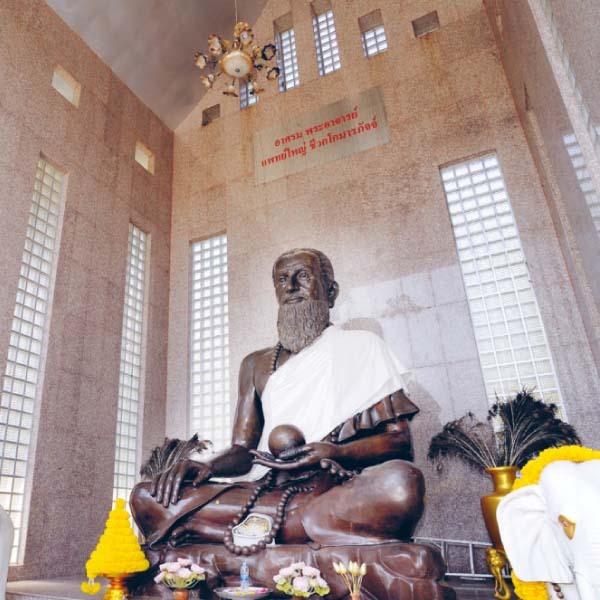 Inside the building are two Chiwaka Komaraphat Hermitages – one contains a golden stucco statue of Chiwaka Komaraphat, a legendary master physician of ancient times, the other enshrines a black stucco statue of the same master. Chiwaka Komaraphat was considered a master of traditional medicine and Buddha’s personal doctor.